Quick-drying, odorless SMEAR GUARD™ ink resists smearing. (Based on consumer surveys. Let ink dry before highlighting.) Easy-glide micro chisel tip for smooth and accurate highlighting on both wide and narrow lines of text. 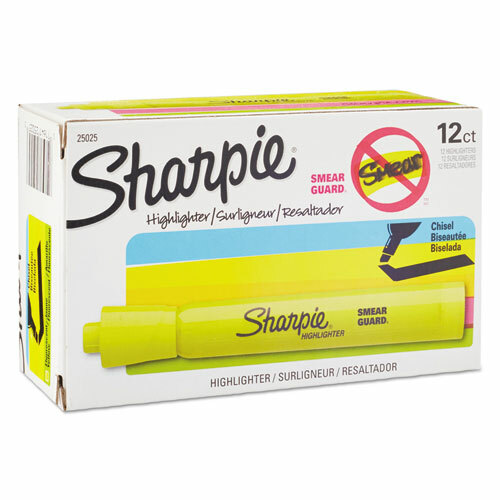 Dependable, long-lasting highlighter is ideal for inkjet printouts, written notes, textbooks, newspapers and more. Color won't fade type or bleed through most paper.